When you enter the gate, you will not know which way to turn; adventure is at every angle! This is such an amazing community playground. 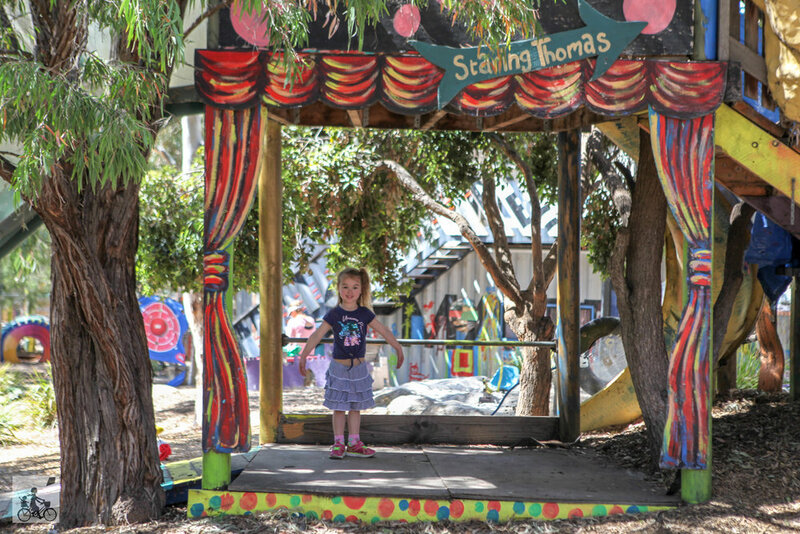 It was initially created for the local kids of the commission houses nearby, but has quickly turned into a very popular weekend/school holiday destination! Whilst there is something for all ages, it is best suited for those 5 and up. Which is pretty rare for a playground! 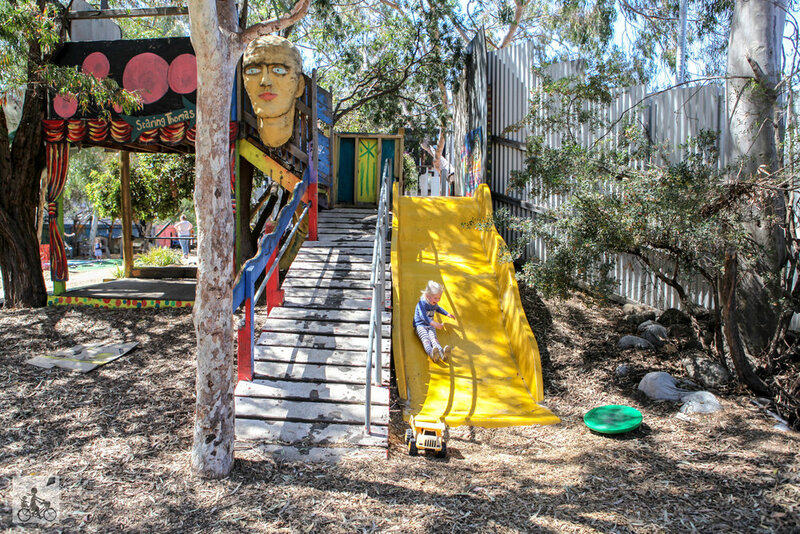 It’s an awesome, kooky-themed junkyard of assorted creative play objects! 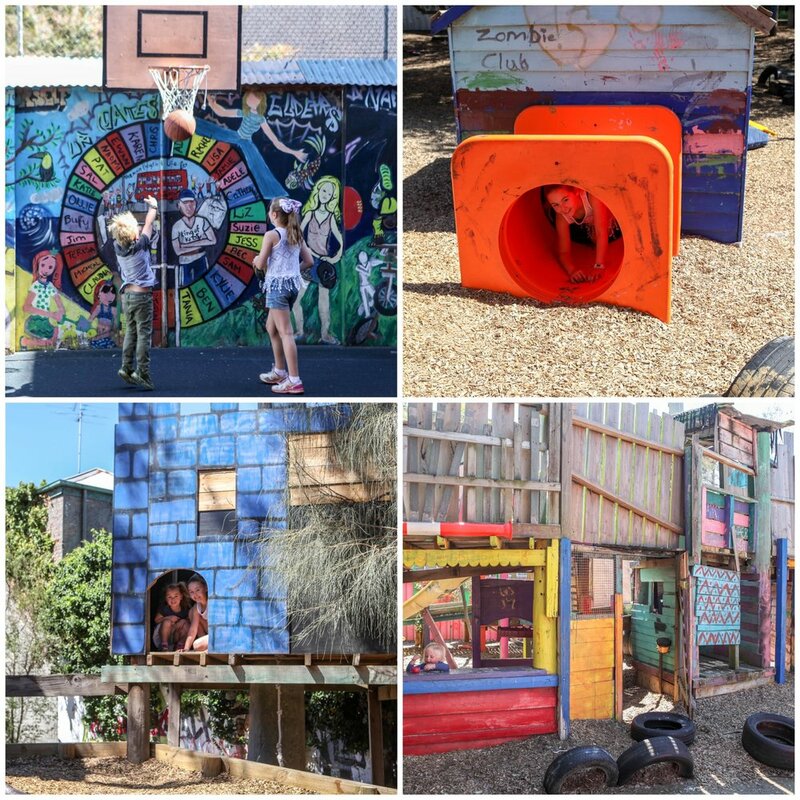 There’s haunted houses, cubby holes to climb through, double-storey tree houses, basketball court, multiple large slides, skateboards, bikes, in-ground trampoline, punching bag and more! There are sandpits with diggers, shopfronts, ride-on cars, wooden ships, a stage to dance on and slides for the little ones. 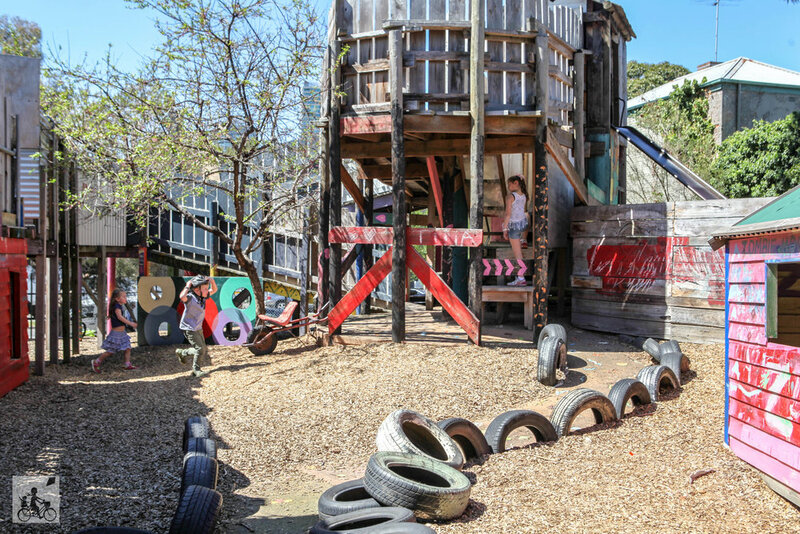 They can also explore the castles, cubby houses and double-storey tree houses, they will just need to be monitored a little more closely. There are also some areas that adults won’t fit in. 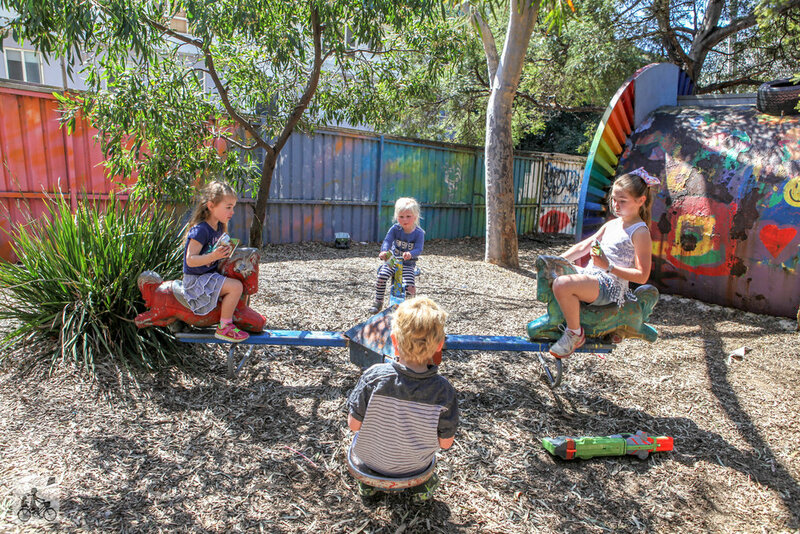 This is one of only a few staffed playgrounds in Melbourne, and is also a great little learning community for local residents. It is definitely one to put on your weekend list! When in South Melbourne, it is a must to visit the awesome South Melbourne Market!